There are many options for recording what happens at your home or business, so when it comes to selecting it can be difficult. Platinum CCTV has just made your decision easier. 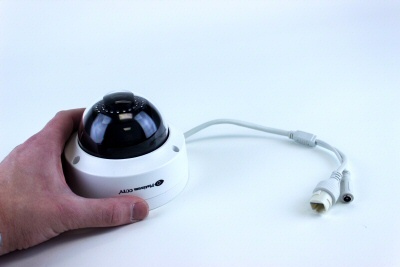 Our HD-4215 Indoor/Outdoor mini armor dome IP camera is a great selection for your business. 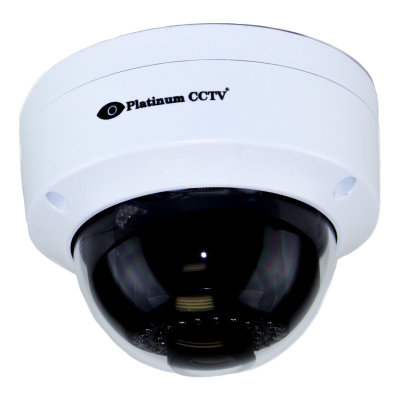 This camera has a 1080P high definition 2.1 MegaPixel Image sensor and Infrared LEDs for nightvision even in complete darkness up to 45 feet away. The built-in wide angle lens provides you with 120 degree width of view for maximum room or outdoor coverage in crystal clear HD at all times. This microdome camera is completely sealed against the elements, making it easy to install both inside and outside. Optional wall mount bracket lets you mount this camera virtually anywhere, making it perfect for coverage of a parking lot or entry door, indoor office, warehouse, conference room and much more. The HD-4215 HD Micro Dome IP camera with PoE is the 3rd generation of our budget-minded HD security cameras, representing even better video quality, increased framerate, and better adjustment for both day and night vision to customize the camera to suit your exact needs. With enhanced image processing and increased video streaming up to 8 Mbps. This means that your video can be clearer even with faster motion. Our new enhanced H.264 encoding protocol ensures you get the best video in all situations. These new cameras also have an enhanced and fully adjustable WDR (Wide Dynamic Range) feature which allows you to brighten up dark areas of the picture to further enhance backlit areas or enhance your night vision. 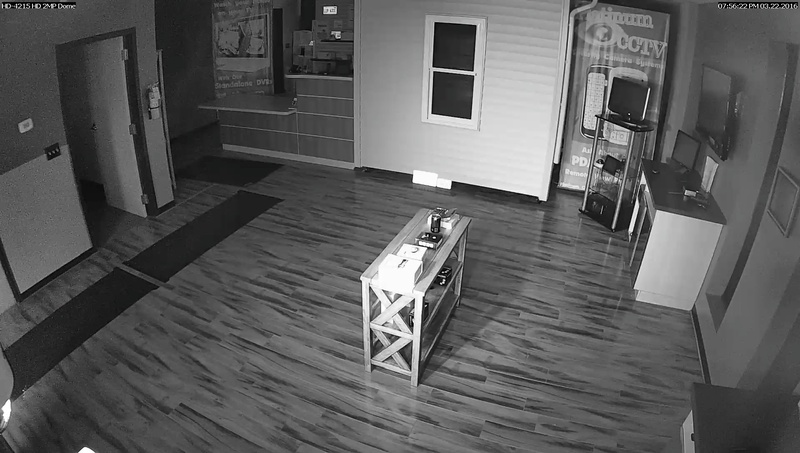 Our newly enhanced Wide Dynamic Range (WDR) feature of the HD-4215 camera makes these cameras even more useful for business security camera installations both indoors and outdoors, by allowing you to custom-tune the picture by brightening up areas of the image that are dark due to less lighting. This is especially useful with cameras that are facing windows (backlighting) or in night viewing where infrared light may be bright in some areas and dim in others. By making this new feature more adjustable, that means that we can help you custom-tune your cameras view to give you the best picture regardless of lighting conditions. This feature alone puts this camera far beyond the competition. With all of the enhancements to our HD-4215 cameras, you will be pleased with day and night viewing. The improved resolution, bit rate and infrared + WDR capabilities all come together to provide better quality picture than previous model cameras, even while still delivering a 120 degree width of view. 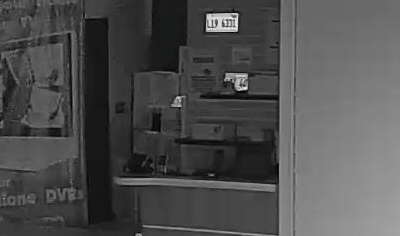 For example, this image shows just a section of the image above, showing license plate that is readable even in complete darkness 35 feet away. While no camera can guarantee license plate capture, especially at night, this camera delivers better quality images and video even with complete darkness. Actual license plate capture will depend on angle of the vehicle to the camera, speed of travel, and positioning of the camera, but starting with the best quality camera helps to increase your odds. This camera is armored to prevent someone from turning or adjusting the camera, but is still lightweight enough to mount directly to a ceiling tile inside your offices. With anchors or toggle bolts, you can quickly mount the camera directly to drywall, wood, metal or even ceiling tiles. This camera also has an optional wall mount bracket that allows easy mounting of the camera outdoors or directly on a wall. The optional wall bracket has enough room inside the bracket to tuck the cables, so that you just need to run a CAT-5 cable through the wall. 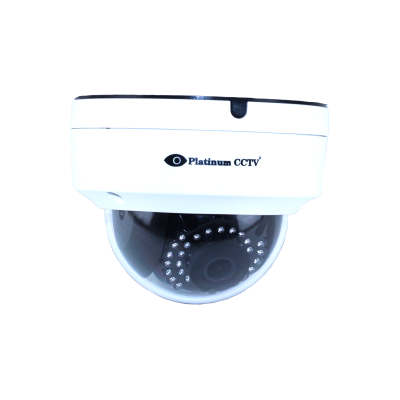 The best thing about the Platinum CCTV line of IP cameras, is that each camera is really a complete system, as each HD IP camera comes with our AVM lite software which will record and allow you to remotely view up to 4 IP cameras at a time, at no additional cost. This NVR software is a fully functional version of our award winning AVM software, providing industry leading playback, allowing you better access to scan through even days of video in a matter of seconds. With our AVM software, you also get some of the most advanced remote access capabilities of any NVR or DVR system, as we have been watching video from our cell phones since the days of the flip phone even. This free version of our AVM software allows you to record up to 4 cameras for up to 7 days before auto-recycling and can be upgraded at any time to the unlimited version of the AVM software. Get your new HD-4215 HD IP Camera with PoE, WDR and 3D Noise Reduction including 100' Infrared Night vision today, and get a 4-channel license of our AVM Lite software for Free!